Pre-orders Announced for 40th Anniversary Sentai T-shirts! 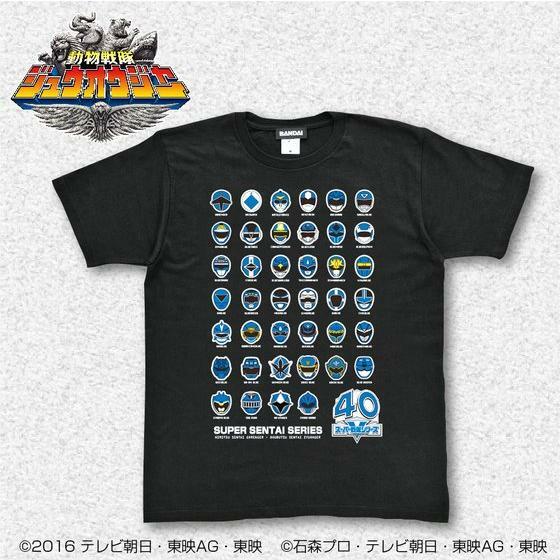 Pre-order open at Bandai on February 1st for t-shirts celebrating the 40th anniversary season, Doubutsu Sentai Zyuohger! These shirts are a re-issue of a previous shirt, but this time incorporating the Zyuohger helmet. It comes only in red hero and blue hero varieties, and is available for 3500 yen for March release. The shirt is 3500 yen and available in sizes S to XL. A sizing chart is available at the bottom of this post. For more sizing information, visit our sizing page! These items can only be ordered through a middleman service.